During final interview before taking new job in Moab, former Salt Lake County sheriff renews call for jail expansion. Scott Sommerdorf | The Salt Lake Tribune Sheriff Jim Winder speaks during the memorial service for "Dingo," a Unified Police Department dog shot and killed in the line of duty July 6 while working with his K-9 handler Sgt. Chad Reyes, Saturday, July 15, 2017. 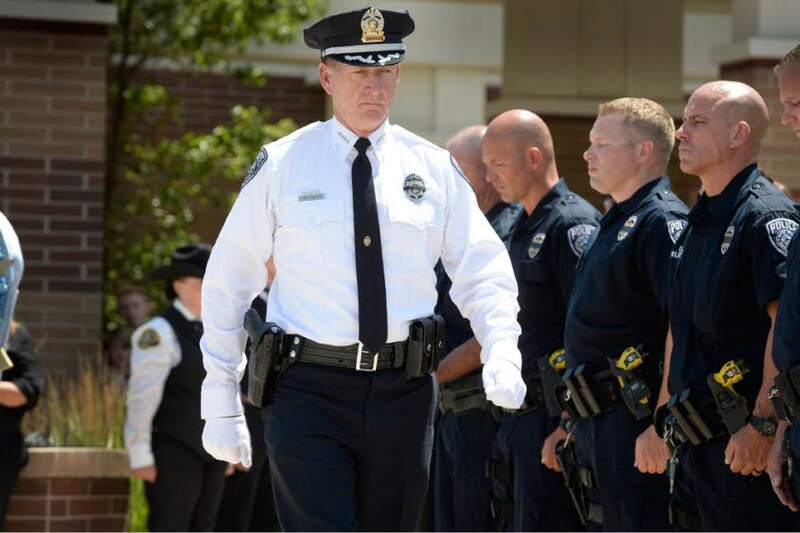 Scott Sommerdorf | The Salt Lake Tribune Sheriff Jim Winder, during the memorial service for "Dingo," a Unified Police Department dog shot and killed in the line of duty July 6 while working with his K-9 handler Sgt. Chad Reyes, Saturday, July 15, 2017. 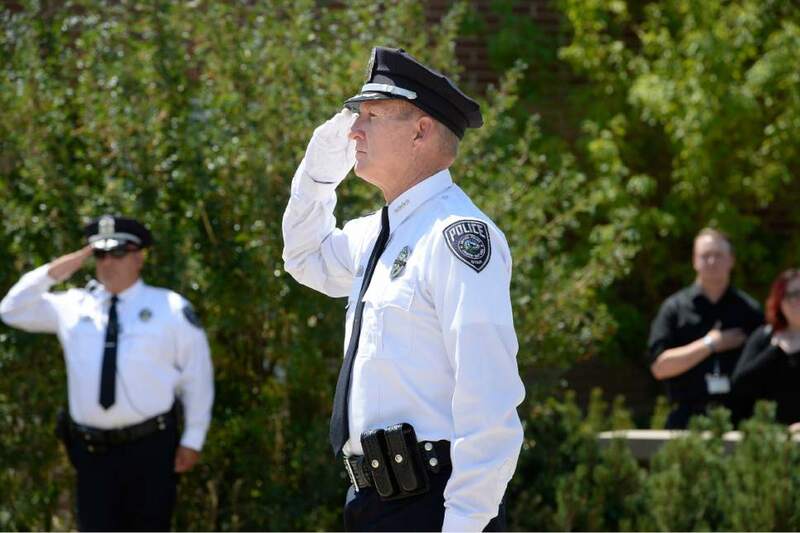 Scott Sommerdorf | The Salt Lake Tribune Sheriff Jim Winder, during the memorial service for "Dingo," a Unified Police Department dog shot and killed in the line of duty July 6 while working with his K-9 handler Sgt. Chad Reyes, Saturday, July 15, 2017. Scott Sommerdorf | The Salt Lake Tribune Sheriff Jim Winder poses for a portrait in the hallway at the Salt Lake Sheriff's building where portraits of former Sheriffs are posted, Saturday, July 15, 2017. Scott Sommerdorf | The Salt Lake Tribune Sheriff Jim Winder, poses in the atrium at the Salt Lake Sheriff's building, Saturday, July 15, 2017. 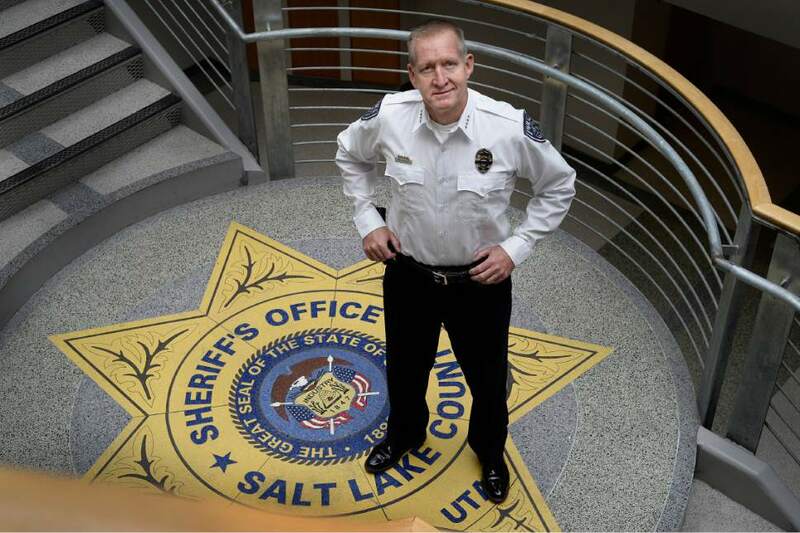 On his way out of town and into a new job as Moab&apos;s police chief, former Salt Lake County Sheriff Jim Winder had one thing he wanted to talk about  jail beds. Winder&apos;s tenure as sheriff was marked with jail crowding, which led to contention with police who said restrictions at the jail were hampering crime fighting efforts. In his final interview as head of the county&apos;s jails, bailiffs at the courthouses and the Unified Police Department, Winder refused to veer from his belief that the county simply needs more places to lock up offenders. "Here we are scrambling to obtain beds. Literally the speaker of the House [is] begging [other counties] to open jail beds so we can place inmates from Salt Lake County," Winder said. "Who in the hell thinks we don&apos;t need a bed?" Winder, whose tenure ended Sunday evening, and his staff have maintained that the county is already more than 500 beds short, and he said the need will climb by another 1,000 beds as the county&apos;s population rapidly grows in the coming 15 years. He dismissed a philosophy pushed by justice reform advocates who say governments that expands jail space will always find a way to fill it up as a "worn-out trope." "It&apos;s like saying if I build a house with six bedrooms somehow I&apos;m going to have to impregnate my wife with six kids," Winder said. "The reality is I&apos;ve got 12 kids. It&apos;s not fantasy." Winder has embraced reforms like the ones presented to county leaders last week by consultant David Bennett, who called for a combination of sentencing reductions, bail reforms and other changes to keep people who don&apos;t need to be in jail from taking up space. But, as he did publicly in his last weeks on the job, Winder said there is already a need to expand. "It&apos;s like saying one day you&apos;ll need a bigger bucket, but what are we going to do to slow the hose that&apos;s filling it up?" he asked. "We need a bigger bucket and then see if they can turn the hose off." In his final appearance before the County Council, Winder last month asked the council members to put in their 2018 budget about $9 million to staff and operate two more pods in the Oxbow jail that are already built but are sitting empty. That would make nearly 370 beds available, Winder told them. Then, he said, county taxpayers should pay to expand the Adult Detention Center (ADC), which opened in 2000 on a piece of land that Winder said was designed so it could be expanded to double the current capacity. "The plan forever was we build the 2,000-bed Adult Detention Center and we add pods," Winder said, arguing now is the time to execute that plan. The county is already seeking to move some of its inmates to open beds in the jails of other Utah counties. The framework has already freed up some space that has allowed Winder to ease restrictions and allow more bookings. Salt Lake County District Attorney Sim Gill said he supports a "balanced approach" to the jail crowding problem that is in step with Winder. Asked whether he wanted to discuss other issues involving the office he vacated nearly a year and a half early, Winder wouldn&apos;t say much. 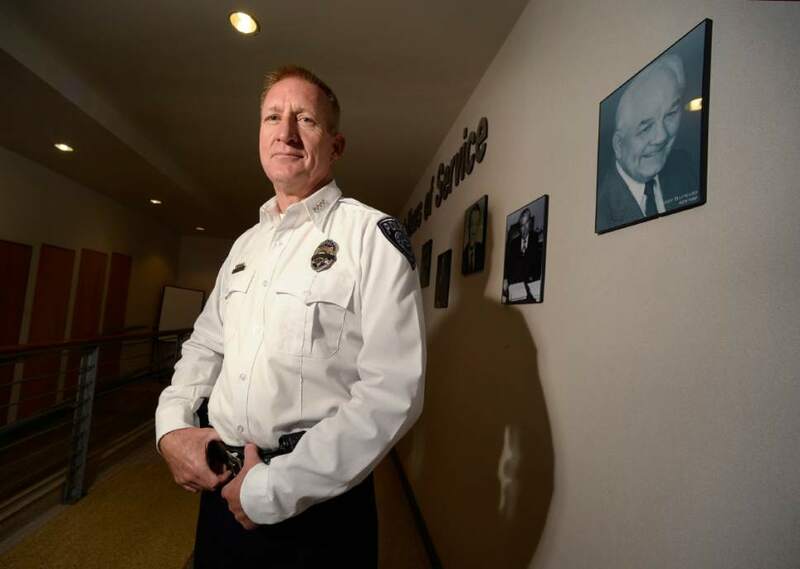 The office he&apos;s leaving currently oversees the Unified Police Department, with precincts and patrol officers in various towns throughout the Salt Lake Valley. There is an ongoing debate about whether the positions should be split, with the sheriff overseeing the jail and an appointed chief overseeing UPD. "I&apos;m going to weigh in when the time is right," Winder said. "Right now, it&apos;s a legislative matter. Right now, it&apos;s political." 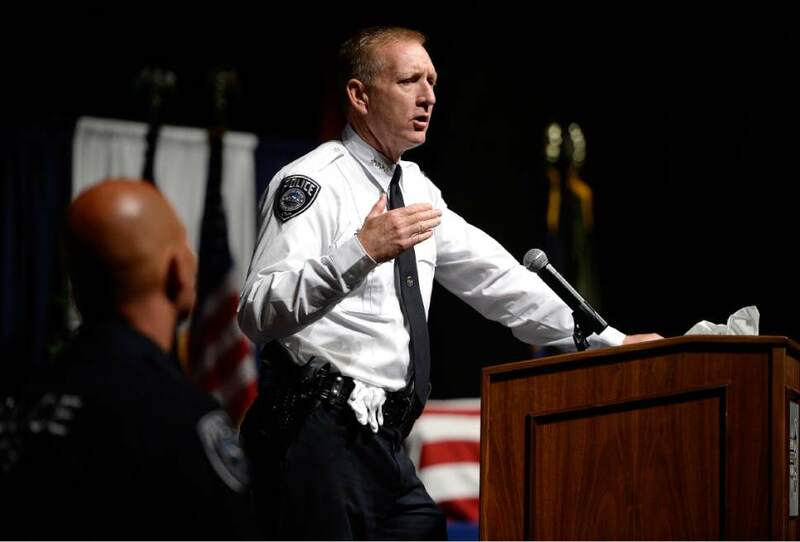 At his final press conference, when he publicly acknowledged he would become Moab&apos;s next police chief, Winder indicated he wanted his replacement to be apolitical and vow not to run for election in 2018. He said he would recommend his successor, though state law leaves it up to the Democratic Central Committee. Four candidates have each said they plan to run for election next year if chosen to replace Winder as interim sheriff. And while his job managing a vastly smaller staff makes it likely Winder will generate far fewer headlines, he vowed he won&apos;t be forgotten when issues arise in his former county, adding, "I&apos;m not going away."